Highpoint Tower Technologies is one of the premier telecommunications tower development and management companies in the industry. Our strength lies in our ability to provide seamless turnkey solutions to wireless and broadcast operators without signal interruption or the re-allocation of valuable client resources. For over 40 years, we have engaged in locating, developing, licensing, funding, and managing tower sites on time, within budget, and without signal disruption for clients such as ABC, NBC, CBS, FOX Broadcasting, WOR, AT&T, and Motorola, to name a few. Highpoint Tower works with each individual broadcaster to design a model that will save client capital, reduce client recurring expenses and create revenue opportunity. These models rely on our already proven skills in real estate acquisition, zoning, architectural design, environmental engineering, construction and tower/site management. They recognize every broadcaster’s primary objectives, PROGRAMMING, CONTINUITY, and MARKET ENHANCEMENT, while providing end-users the best available signal reception. Highpoint’s project teams consist of the very finest engineering, antenna, transmission and tower manufacturing companies in the broadcast industry. With the combined talents of these organizations, our project teams function as part of our clients’ technical services department. Our models incorporate a response team that has amassed over 100 years of combined experience in every facet of the industry; broadcast station management; civil, electrical, and mechanical engineering; tower design and manufacturing; real estate services and development; construction and rigging; site management; and federal and local government compliance. Our teams have sited, developed, managed and marketed multi-use towers from rooftops to guyed towers over 1000 ft. AGL. Highpoint Tower brings this strength to bear with efficiency and effectiveness, so that clients are free to re-allocate capital and to concentrate on core competencies. We work with each client to establish a “partnership” style relationship, rather than the more common tenant-landlord association. This means that client goals become our goals; that we will apply our resources to the entire scope of conversion projects from funding to management. As a “partner” we will work to eliminate capital costs by removing both the developmental and construction/maintenance cost variables. We put a Highpoint representative in place to manage each of our sites. helping to insure quick repsonse to special needs or emergencies that may arise. With us, your station’s conversion will be cost-efficient and in compliance with all FCC & FAA regulations. Highpoint Tower’s commitment to efficient and effective site construction and management offers broadcasters a sensible and economic means to meet government guidelines, enhance user services and enjoy a business relationship tailor-made to address individual needs, goals and expectations. 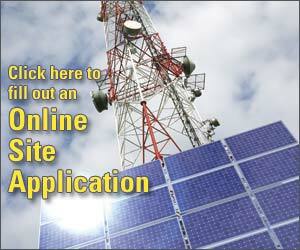 Highpoint Tower Technology (HTT) designs renewable energy projects for the telecom industry.